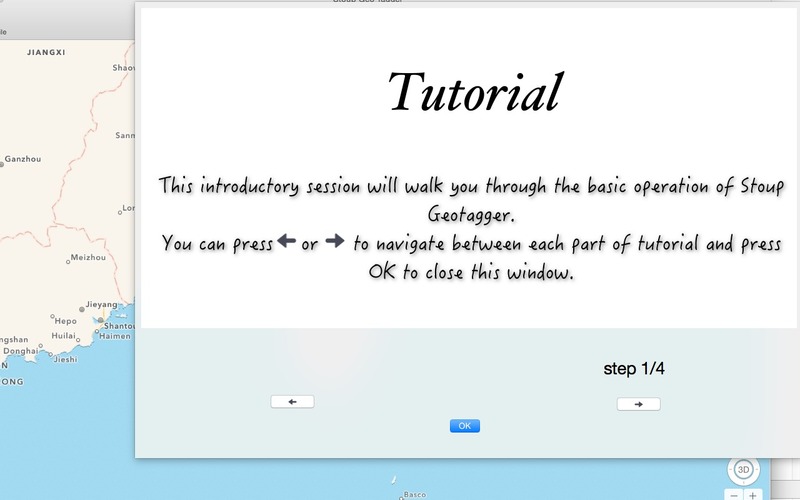 Geotagging made simple (release candidate). Is there a better alternative to Stoup GeoTagger? Is Stoup GeoTagger really the best app in Photography category? Will Stoup GeoTagger work good on macOS 10.13.4? Stoup GeoTagger makes geotagging pictures easy. Batch geotag of picture files. Note: Due to an Apple bug, some versions of OS X won't able to use the trial version of Stoup Geotagger. We are seeking new ways to allow customers to have a trial experience before the full purchase. Until we achieve that, we advise you to purchase the full version directly. If you don't like it, we'll gladly refund your money. Stoup GeoTagger needs a review. Be the first to review this app and get the discussion started! Stoup GeoTagger needs a rating. Be the first to rate this app and get the discussion started! Add an introduction window to explain the use of the program. Location search results can now be clicked to reach the desired location.